It's winter here on the east coast of the US, and nothing warms a person up like a steamy bowl of delicious soup. 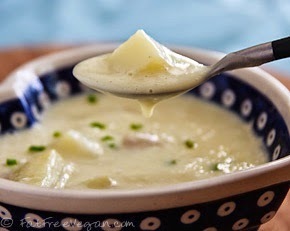 Here's a recipe for Potato Soup that will fill your belly and make you smile. Enjoy! 1 In a Dutch oven, cook the bacon over medium heat until brown and crispy (be careful not to burn it). Remove bacon from pan, and set aside. Drain off all but 1/4 cup of the bacon grease. 2 In the bacon grease remaining in the pan, sauté the celery and onion until the vegetable soften. Add the garlic, and continue cooking for 1 to 2 minutes. Add the cubed potatoes, and toss to coat. Sauté for 3 to 4 minutes. Return the bacon to the pan, and add enough chicken stock to just cover the potatoes. Cover, and simmer until potatoes are tender. 3 In a separate pan, melt the butter over medium heat. Whisk in the flour. Cook stirring constantly, for 1 to 2 minutes. Whisk in the heavy cream. Bring the cream mixture to a boil, and cook, stirring constantly, until thickened. Stir the cream mixture into the potato mixture. Puree about 1/2 the soup, and return to the pan. Add salt and pepper to taste. Serve with warm, crusty bread. Lately, Facebook hasn’t done much to enamor me as a user. 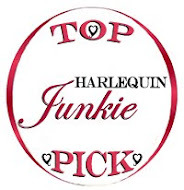 However, they are offering authors a new feature on author fan pages that I think is fabulous and I couldn’t wait to tell everyone about it. It’s a Call To Action (CTA) button. It’s easy to set up, easy for visitors to use, and a great thing about the button is that Facebook tracks how many CTA clicks your button receives. So, quick! Go to your Facebook fan page and set up your CTA button right now. To set up the button, simply click it (marked on the image below with red arrow #1) and choose which action you want your visitors to take. Your choices include Shop Now, Book Now, Contact Us, Sign Up, etc. 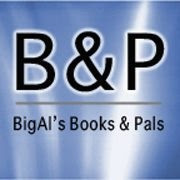 I have used Shop Now and I connected visitors to the Buy My Books page on my blog. But you could just as easily use the Sign Up button as a way to build your newsletter mailing list. Now that I'm thinking about it, I may edit my CTA button from time to time to see which CTA gets the most attention from page visitors. To find out how many CTA clicks your button has received, simply look on the right hand side of your author page (marked on the image below with red arrow #2). As annoyed as I have been with Facebook recently, I have to give the company a standing ovation for this new feature. How do you think the new CTA button should be used? Share your ideas in the comment section. All opinions and ideas welcome! Set up your CALL TO ACTION button. It's easy...and it's FABULOUS! After looking over all the information, I must conclude that paid Facebook ads do not sell books. However, there is no way for me to tell if the exposure was a benefit; after all, over 33,000 people saw my book cover, my name, and the fact that I’m a USA Today Bestselling Author, and over 1,100 of them noticed enough to engage with the ad in some way (with a "like" or a share or a comment). If you’ve used Facebook, Twitter, Goodreads, etc, I’d love for you to leave a comment below and tell me about your experience, whether successful or unsuccessful. Thanks! This is great information for Indie Authors to have available. *To find your book’s Sales Rank on any given day, log into AuthorCentral.com, click “sales information” located along the top bar, click “sales rank” in the dropdown menu, and then click the down arrow in the box marked “all books” to choose a particular title. Once you’ve selected a title, use the various time spans offered (2 weeks, 1 month, 6 months, 1 year, 2 years, all available) to gather the information you need. I prepared my ad content according to Twitter’s instructions. Their ad dashboard makes it very easy to set up an ad. 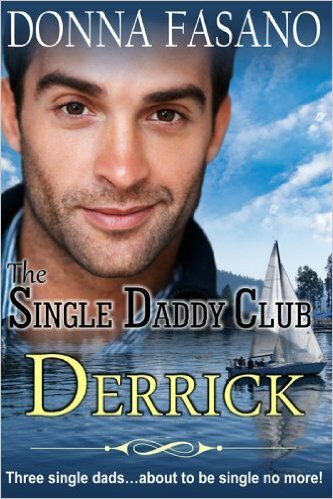 Because I was promoting one of my iBooks, I targeted readers, and more specifically, romance readers. I also targeted #iBooks. On the final day of my ad, I asked some author friends to RT my ad to see if that helped my ad’s visibility. I’m certain that’s why the graph (below) shows more views on the final day. I spent $10 a day for 5 days. Have Twitter ads worked for you? I’d love for you to leave a comment. Have you used Twitter ads and found the same result as I did? Please leave a comment. Information sharing is a great thing! Hard-boiled eggs coated in breakfast sausage might have originated in Scotland, but I first tasted them on a trip to London. 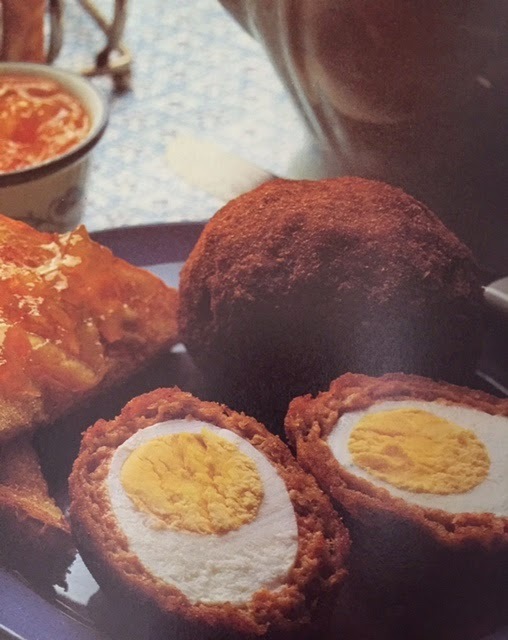 If you’ve never eaten Scotch Eggs, now is your chance to give these tasty morsels a try. Coat each egg in flour. Divide the sausage into 8 equal pieces. Flatten one piece of sausage and pat to cover one egg. Do the same for the remaining sausage and eggs. Mix together the bread crumbs, sage, and salt. Dip the sausage-coated eggs into the beaten eggs and then roll in seasoned bread crumbs. Heat oil (about 1 ½ inches up side of pan) in a 3-quart saucepan to 360º. Fry eggs, 4 at a time, turning occasionally, until all sides are nicely browned, about 5-6 minutes. Drain on paper towels. Serve hot or cold. I prefer them hot. Labels: Breakfast recipes, English Pub Food, recipes, Scotch Eggs, What's for Breakfast? Do you know someone who would benefit from having access to free books and other materials in audio and Braille format? 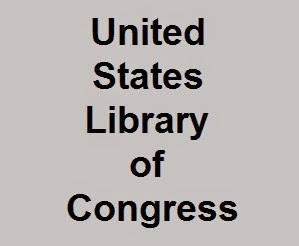 The National Library Service for the Blind and Physically Handicapped (NLS) administers a program through a national network of cooperating libraries that circulates books and other materials to eligible borrowers in the United States by postage-free mail. Who is eligible? US residents who are legally blind or have other physical disabilities. Read more here. What is available? Books, magazines, music scores, and other materials. Listening devices are also provided free of charge. Read more here. The website has a wealth of information: applications to sign up, lists of available books, magazines, music scores, etc, as well as direct audio downloading serivce, Braille transcription and proofreading courses, online catalogs, and more. NLS also has a newsletter and you might also be interested in the NLS Music Notes. Santa left a FitBit under my tree this year, and I have to say I love this little gadget. It counts my steps, my flights of stairs, my calories burned, even my hours of sleep (although I still have to figure out this function). I downloaded the free app on my phone, and when I inputted my height and weight, the program automatically put me on a 1200 calorie per day plan. The way I figure it, that gives me 300 calories per meal (breakfast, lunch, and dinner) with three 100-calorie snacks. I have a terrible sweet tooth. My son gave me a delicious box of chocolate covered caramels for Christmas, and I was overjoyed to learn that 1 piece is 60 calories. These are NOT sugar-free or “diet”…just regular caramels coated in dark chocolate. Do you think this is a “doable” plan? What are you doing to keep fit in 2015? I am such a failure when it comes to resolutions that I decided not to make any this year. Did you? If so, what’s YOUR New Year’s Resolution? 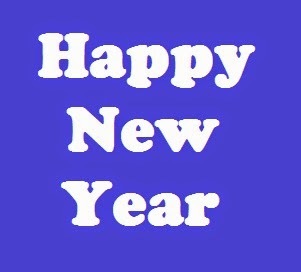 Labels: Do you make New Year's Resolutions?, Happy New Year, New Year's Resolutions, StatisticBrain.com, What are the best New Years Resolutions?